Data is the foundation of sound decision making, especially when tackling complex health issues. Organizations have literally hundreds of thousands of data points available to them, from publicly available data to their own in-house information. Capturing those numbers and translating them into a meaningful story is challenging. Healthcare companies must integrate technology to provide timely and holistic patient care. In addition, technology solutions help mitigate compliance, achieve cost effectiveness and address quality-related challenges. 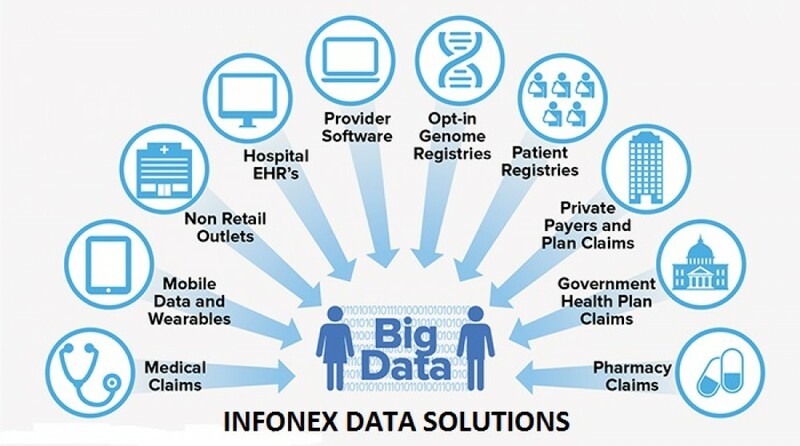 Through data integration and digitization, we at Infonex help customers assess, review and improve their systems, thus ensuring that the healthcare organizations provide timely delivery of care. These functions help healthcare organizations deliver long-term standardized solutions that fuel growth and bring cost efficiencies. The healthcare industry is being forced to innovate across the board to keep up with rising expectations for patient care and member services. Today’s healthcare contact centers are tasked with improving the patient/member experience to create better outcomes while simultaneously improving efficiency to drive down operational costs. We help health researchers improve outcomes by delivering sophisticated software that automates data collection and is built for the complexities of today’s health research. From precision medicine to healthcare intervention RCTs, our platform is proven across hundreds of use cases and at scale. Our Research Data Warehouse(RDW) is an unique and a valuable institutional resource for clinical, epidemiological and health services research. It can be used in support of the health care goals of various government agencies (FDA, AHRQ, NIH), including comparative effectiveness research, biosurveillance, patient safety monitoring, post-marketing drug surveillance, geographical mapping of morbidity and mortality rates (by zip code or census tract), genetic and genomic studies, and many other types of research. Because longitudinal data is stored in a RDW,it will provide an opportunity for researchers to study secular trends of disease, as well as following the health and disease status of large patient cohorts over time. Technology solutions to help mitigate compliance, achieve cost effectiveness and address quality-related challenges. Harness our powerful online tools and technologies that allow organizations to easily collect, manage and share data.